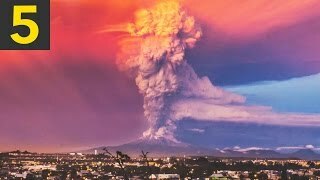 Mexican volcano Popocatepetl has erupted spewing lava and ash up to 3,000 metres into the air. Locals have been warned and the threat warning level remains at phase 3, meaning the chance of volcanic activity is immediate to high. The National Coordination of Civil Protection said fragments of lava were thrown 1.2miles down the slopes of the mountain, while ash blew 1.8miles towards the south-east, when it erupted.